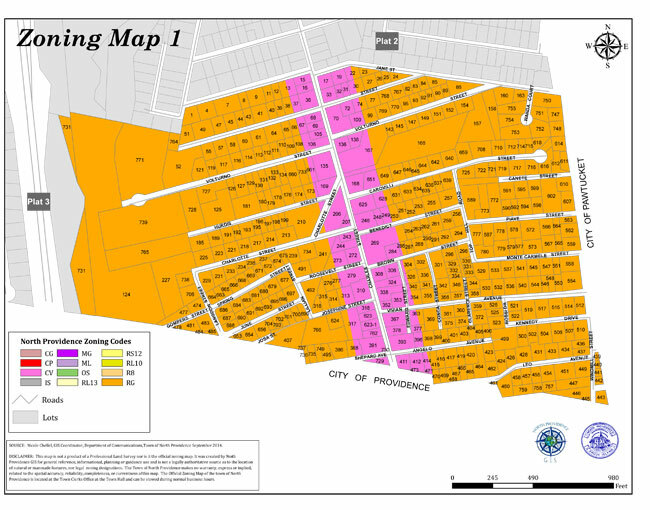 Town of North Providence Zoning Maps are now available for viewing, downloading or printing on this website. These zoning maps, as well as tax plat maps, have been prepared by the Town’s GIS (Geographic Information System) Coordinator, Nicole Chellel. GIS makes map creation and information retrieval efficient and easy. The Town of North Providence uses GIS to create, maintain, and analyze spatial data. Though GIS has only been part of the town of North Providence since March 2014, GIS has become an important component for many projects throughout the departments.